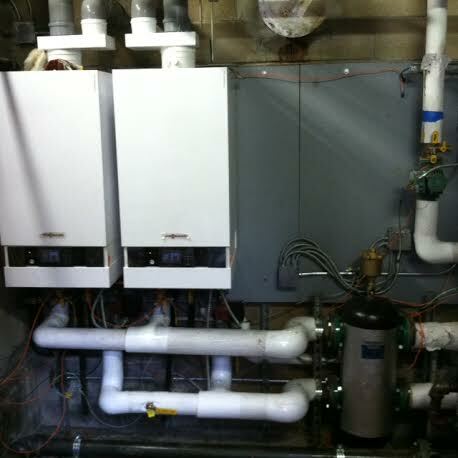 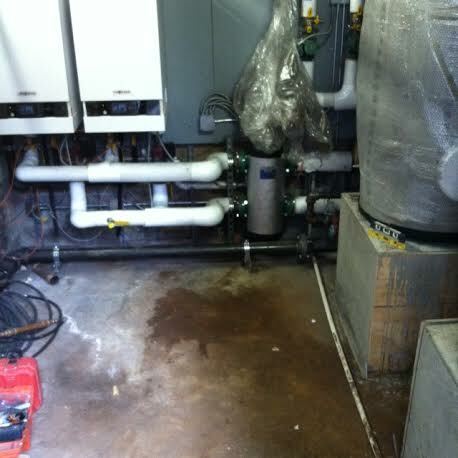 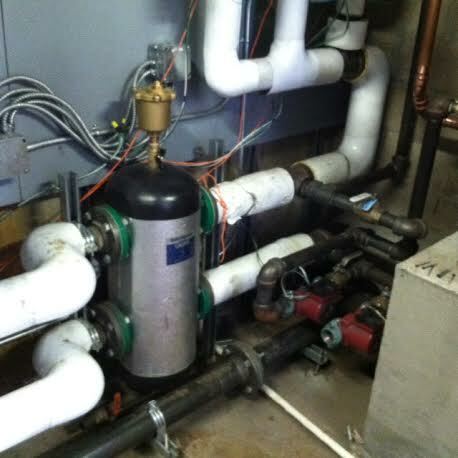 Oil to gas conversion with installation of (2) new high efficiency condensing boilers and indirect hot water heater. 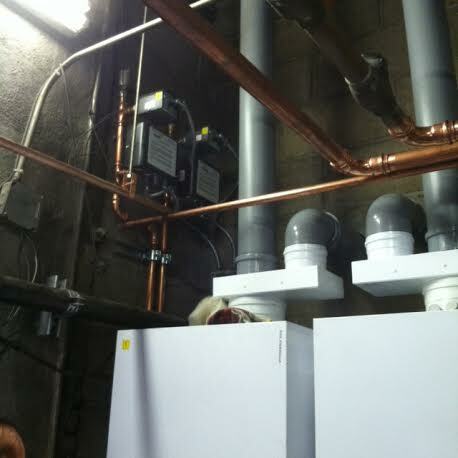 Details of the installation: Viessmann Vitodens 200W with Weil McLain Aqua indirect hot water heaters. 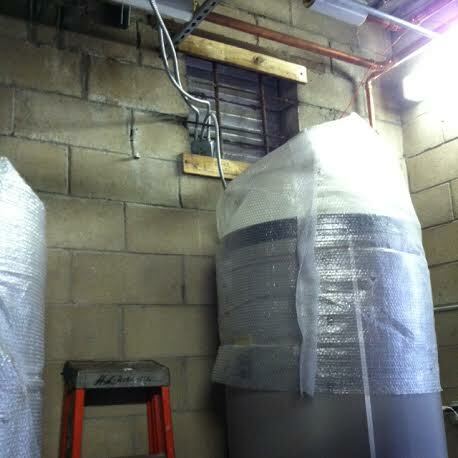 The system is operating on outdoor reset control. 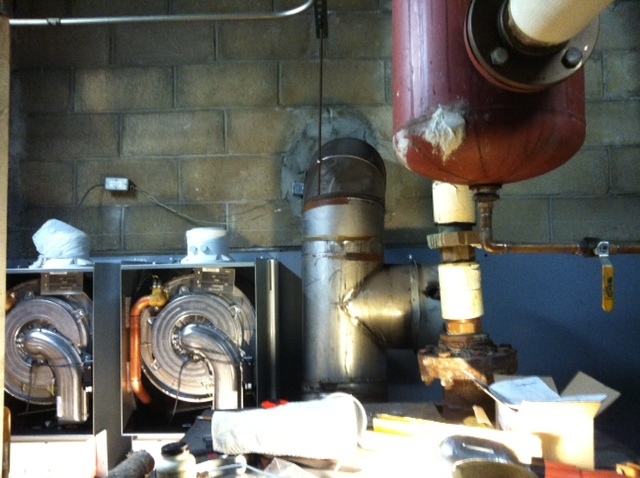 Boiler: Viessmann vitodens 200W with S Control for cascade control of the system. 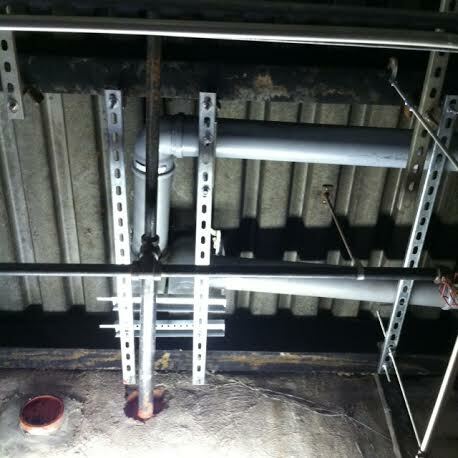 The process of bringing in a gas line from the main. 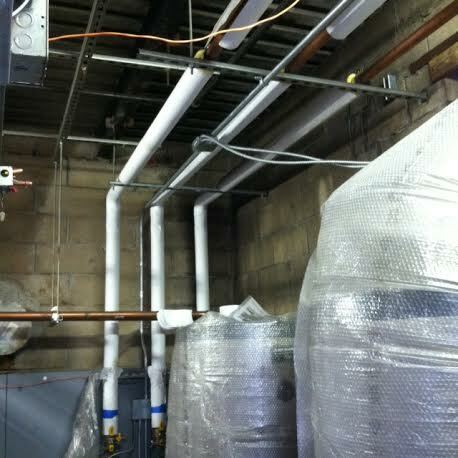 Con Edison requests that the plumber install a sleeve up to the property line. 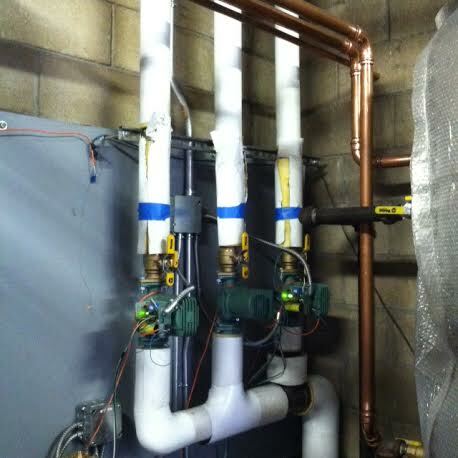 Con Ed installs the gas line from street to sleeve.